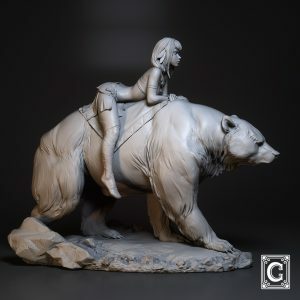 View cart “Bear Rider – 75mm scale (1:24)” has been added to your cart. Spend some magical time in Wonderland painting Smoking Caterpillar, go crazy with colors! Increase value of your collection with this Limited Edition, bigger version of Caterpillar. This is bigger, Limited Edition of 200 pieces, numbered – certificate of authenticity included. Release dark magic of your brushes and spend a calm, spiritual night with Svitiaz Nymph. Svitiaz Nymph, is high quality Resin Kit thats represent slavic legend of Svitiaz lake demoness. Svitiaz Nymph kit is collectible stuff for miniature painters, for collectors, for fantasy geeks and for all of those, who just love art. Sign me up for the newsletter! I’ve read and accept the Marketing Agreement.